Me make way to earn Free Bitcoin since 2014: What is Freebitco.in? 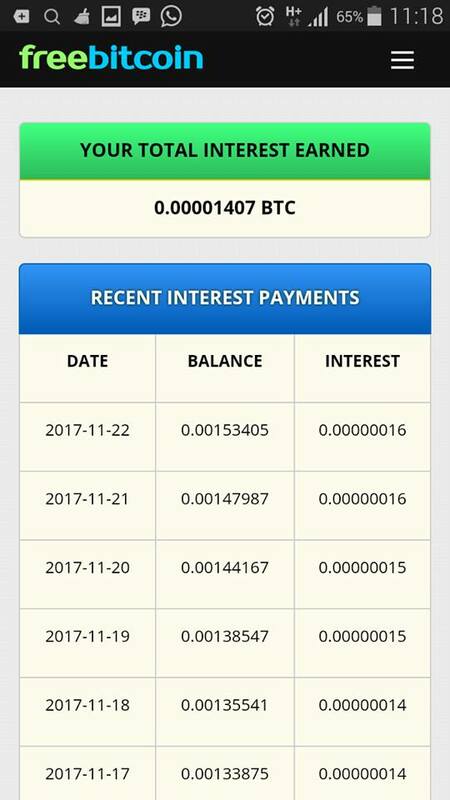 Freebitco.in is a Bitcoin faucet, that pays you a certain amount of Bitcoins every hour. Simple as that. 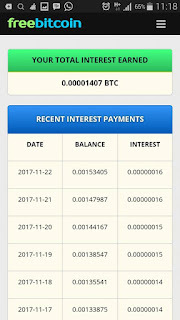 Once you reach the payout threshold, the Bitcoins will be paid out to your wallet automatically. When we talk about faucets, we are talking about Satoshis. Satoshi is not another coin, it is just the term for 0.00000001 Bitcoin. The amount that you get depends on the Bitcoin price. At the moment (July 2017) we are at around 50 to 100 Satoshis per hour. There have been many faucet's or faucet networks over the years, but this is still one of the best and one of the very few that have survived until now. ?The site is legit, as I have received coins for myself, and it also offers a betting game and reward programs. There are certain strategies to maximize your earnings, and there are tons of videos out there, that promise you an easy passive income with that site. Most (if not all) is of it just not true, so don't fall for that. Let us see, what you can really do. Collect Reward Points! If you play by yourself, you should take a look at the reward point system. 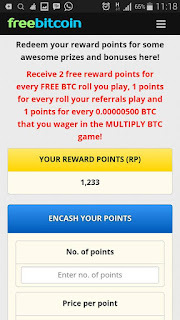 Whenever you roll the dice, you will receive reward points, that can be converted into Satoshi later. You should disable the lottery tickets, so that you earn more reward points with each roll. 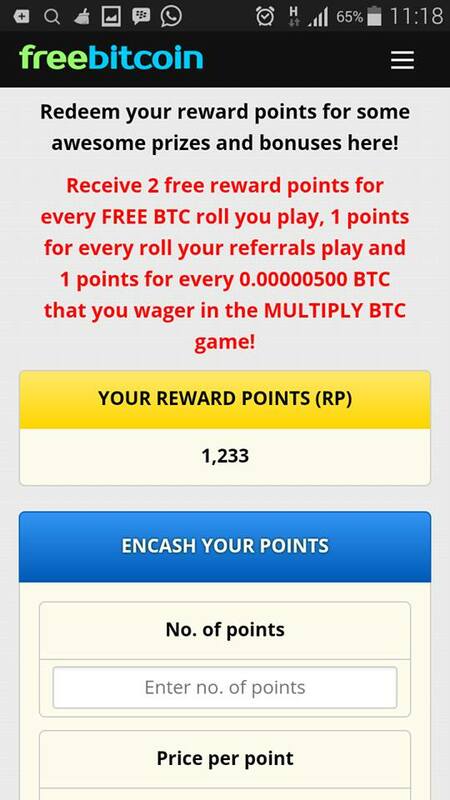 Now that you receive reward points much faster, you can even redeem them, to receive more reward points per roll. If you roll more often than 12 times per day, this can help you grow your reward points really fast! Use the Referral Program! Now here is, where it is becoming really interesting. If you recommend Freebitco.in to your friends, or you have another way to get referrals (like a website, blog or YouTube channel for example), you will receive up to 50% of what they earn! If you get a few people to play, this stacks up very good and you receive coins regularly on your wallet. You might not become rich, but it is easy money. So why leave it on the table? Don't Gamble! Yes, those are tons of videos I was talking about before. They are offering you the best strategy to beat the Hi-Lo game. But if it were that easy, the site surely wouldn't have survived until now. Think about that. The concept of the strategy is, that you start with one Satoshi and each time you lose, you double your bet. If you win, you return to your base bet of one Satoshi. So if you bet one Satoshi and lose, you double it. If you win after one loss for example, you have lost 1 Satoshi and earned 3. That goes on and on and you can even use the auto play option to gamble for you. The more Satoshis you have, the better chance you have, that you won't get a long streak of losses. If you do, you lose all of your money. And don't think it's about fifty fifty and it would be impossible to get such a long streak of losses (let's say 8 or 9 in a row) right? Wrong, because the more often you play, the more likely it will happen. That doesn't mean the site doesn't play by the rules, it's just mathematics. What About Investing Bitcoins? You can invest money on your Freebitco.in account, and they pay you a certain interest rate per year (around 4% at the moment), which means you get Satoshis on a daily basis. You can check the calculator on their page to find out, how much it would make you. I'm a bit in between with this. I have learned, that you never leave your Bitcoins in third party hands. Although Freebitco.in is an honest service, that survived for four years in this business already, you don't have any guarantee, that there will never happen something to it, even if it seems not very likely at the moment. I prefer the safe side. But if you like to, you can leave your Satoshis just in your account and if you receive enough (especially with referrals), they grow automatically and you receive a little bonus every day. You just have to remove the auto withdraw option in your profile and you are done. By the way, there is another similar program like this. If you like Freebitco.in, you should also check out Freedoge.co.in. It has not so many features, but it is still a very good faucet.